The PlayStation 4 requires a PlayStation Plus subscription for online play. Why? Shuehei Yoshida, president of Sony Worldwide Studios, explains the change. For years now the biggest claim to console war dominance held by PlayStation devotees was that the PS3 allows players to play online multiplayer titles totally gratis. The Xbox 360 by comparison, requires a paid subscription to Microsoft's Xbox Live Gold program. A few years back Sony introduced the PlayStation Plus initiative, a paid subscription service that offers PS3 owners discounts and periodic free game downloads, but anyone wishing to save their cash could still go online via the PlayStation 3 without shelling out a dime. That's going to change with the upcoming PlayStation 4, a console that, like the Xbox 360, will require a subscription to PlayStation Plus for online play. The reason? Simply put: Providing stable, online gameplay is expensive. In a recent interview with Weekly Famitsu (helpfully translated by Kotaku's crack team of multilingual geeks), this decision was explained by Shuhei Yoshida, president of Sony's Worldwide Studios. 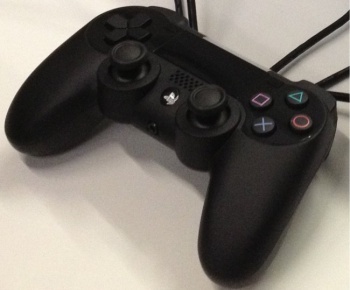 "The main pillar for the PS4 will be online play," Yoshida states. "We're developing many new ways to play and connect which requires a large investment of resources. Considering the cost, to try to keep such a service free and consequently lower the quality would be absurd." "We decided that if that's the case, then it would be better to receive proper payment and continue to offer a good service," Yoshida adds. While we're sure that many are upset over this new, nearly-mandatory fee attached to the PlayStation 4, things aren't quite as grim as they seem. Though online gameplay will require a PlayStation Plus subscription, Yoshida claims that players without subscriptions will still be able to play games that don't rely on "real-time" online interactions. For example, imagine a game like Gran Turismo which offers numerous online features, such as multiplayer gameplay, online leaderboards and the ability to sell vehicles between players. In theory, while players without PlayStation Plus subscriptions won't be able to play head-to-head with other players, they will be able to access the game's leaderboards and whatever online vehicle shop system the title might feature. Of course this is just an example to better explain Yoshida's statements. We don't know exactly how the Gran Turismo 6 will function, so it's entirely possible that everything we stated above will be moot by the time the PlayStation 4 hits retail. Speaking of, we're still waiting on an official release date for the PlayStation 4. Sony's stated that the device will arrive in the fourth quarter of 2013, and we expect a more specific launch date to emerge any day now. We'll bring you that information once it appears.